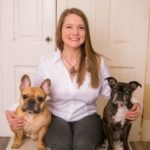 Since 2010, Preferred Pet Sitter LLC has been owned and operated by Alysha Riel, Certified Veterinary Technician. While working for a local veterinarian, she found a great need to keep pets where they’re happiest- in the comfort of their own loving home! They have since become the South Metro’s Preferred Pet Sitter now servicing over 300 clients in Savage, Prior Lake, East Shakopee and West Burnsville! They see dogs of all sizes and breeds, cats, pocket pets and even fish tanks! They’re even bully breed friendly! Each sitter working for Preferred Pet Sitter is background certified, confidential as well as Pet First Aid and CPR certified through the Pet Health Academy. Feel free to check out many of our 5 star reviews on Facebook, Google or Yelp. We can’t wait to meet you and your furry friend!